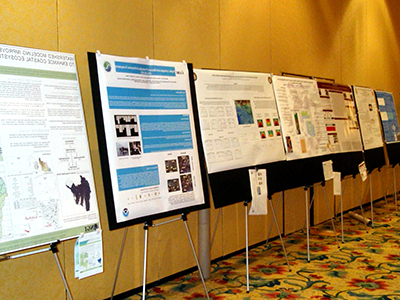 As the Northern Gulf Institute settled into its own this second year, the 2008 NGI Annual Conference focus turned to more fully integrating our efforts - integrating research across the entire the Northern Gulf of Mexico ecosystem, between the NGI academic partners, and with the several NOAA elements working in the region. It also included coordinating efforts with other federal, state, and non-governmental organizations. This year the NGI Annual Conference provided structured and informal forums to ensure these integration successes. As the NGI continues to grow and evolve, collaborative activities at every level will become more and more important, so this forum is critical to our success as an institute. The NGI Annual Conference included demonstrations of how our applied research projects are developing real solutions to the NGI stakeholders - the people who work, live and visit the Northern Gulf of Mexico. We want and expect that this be a means of creating dialog - conversation and critique of existing project and the generation of new ideas based on research findings presented. We also want every research effort to have a strong education/ outreach focus as well - not conducting research for research sake, but rather have our stakeholders in mind at every step. In addition, this year's conference more fully engaged our graduate students. Students attended the regular technical and program sessions, and we will also had special student sessions. Students were also encouraged to present in poster and photography competitions, and awards were given. Our students are the next generation of scientists and educators, so we want to give them every opportunity for engagement in NGI efforts.